for the The Gundlach Manhattan Optical Co. 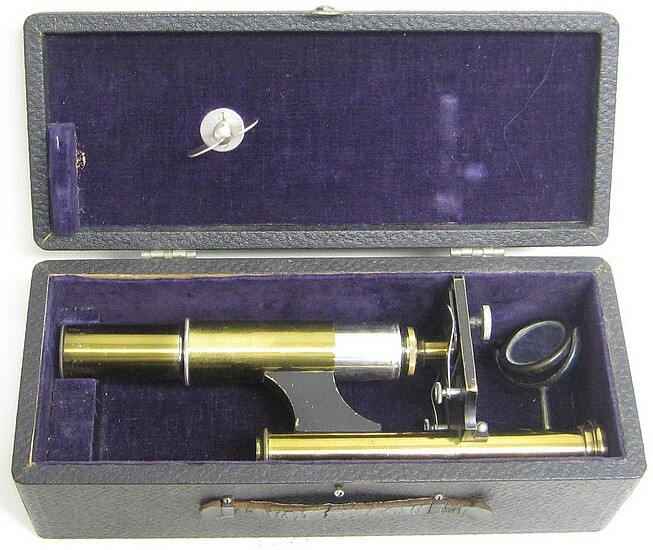 The Gundlach Manhattan Optical Co. was formed in 1902 by the merger of the Gundlach Optical Co. and the Manhattan Optical Co. 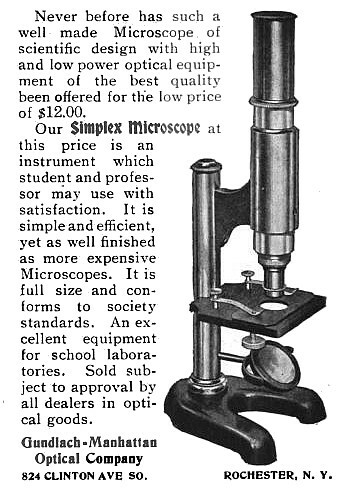 They produced the rather basic microscope shown here which was called the "Simplex" model. The main focusing is by push-tube and the fine focus mechanism utilizes a micrometer screw that simply tilts the top plate of the stage. The single objective is divisable and is marked 2/3 and 1-inch. 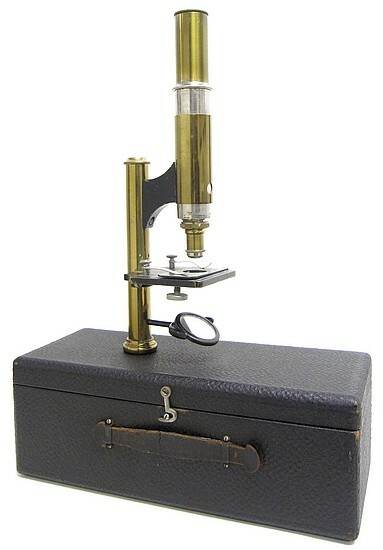 This model was sold both as a free-standing version as shown in the above advertisement and as a case-mounted version as illustrated by the example in this collection.